Special POS Features For Garden Centers, Nurseries & Greenhouses. Our point-of-sale system provides solutions for the green industry that go beyond what is offered in a generic, off-the-shelf set-up. We know your business has unique challenges, so we built Rapid Garden POS to address your specific needs head on. Your garden center POS needs to be able to support your customers and manage your inventory anywhere in your stores, yards, greenhouses, warehouses or grow sites. Rapid Garden POS brings tools that can go where the work needs to be done. Our garden center POS hardware is durable, connected, adaptable and comes with a world-class warranty/replacement program. Rapid Garden POS supports multiple common, botanical and Spanish names for single items. Our POS system manages your garden center or nursery inventory — from bulk purchases sold in smaller increments, flats being mixed and matched, individual items being combined for planters and gift baskets, and tracking dumps/dead count. Generate and print barcodes in multiple formats (labels, tree tags, planter spikes) right from the Rapid Garden POS system, or utilize manufacturer-provided barcodes. 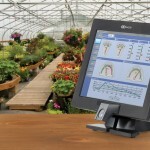 Rapid Garden POS offers state-of-the art tools for garden centers and nurseries to engage with their customers. Create different nursery customer classifications, target email marketing to one or more classes, build garden center loyalty programs unique to each customer class, and track garden customer purchase patterns and preferences. During your busiest buying seasons, speed customers through check-out and protect their data with Rapid Garden POS PCI/DSS compliant technology. Your nursery or garden center may have multiple grow sites or production sites. You need to manage orders, fulfillment, materials (including from existing sellable stock), and labor to support your garden center growing activities. Rapid’s garden center POS streamlines your operations with tools to organize and track your nursery crops and other items in production. Your garden center may have many different types of customers including distributors, landscapers, resellers, installers and retail customers. Each of these may have different pricing and promotion arrangements. Rapid’s garden center POS supports multi-level pricing and automatically applies the appropriate pricing/promotion based on the customer profile identified. Landscaping, delivery, installation, recycling, design and other services offered by your Garden Center or Nursery can easily be managed through the Rapid Garden POS system. Prepare estimates for your garden customers, control and track labor, invoice customers and handle remote payment through your point of sale system. Whether your nursery POS hardware needs to make a statement or just print them, Rapid Garden POS has you covered. Get everything you need to run your garden center POS—including cash drawers, barcode scanners, screens and receipt printers. We work closely with NCR, the world’s largest cash register manufacturer, to ensure you get a time-tested small business POS system with a robust warranty. NCR Mobile tools let you manage inventory throughout your facilities, and service your customers wherever they may need you. Let customers pay however they want with credit card machines that work with Chip & Pin (EMV), Apple Pay, Google Wallet, and more. 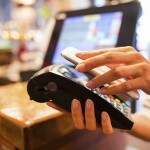 Transactions are processed securely through a PCI DSS and CISP compliant payment gateway.